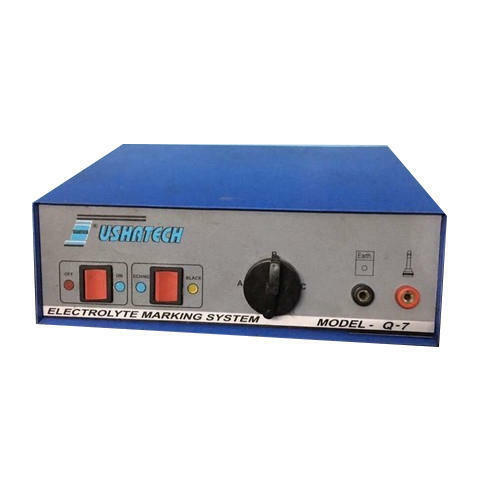 Owing to our expertise in this domain, we are engaged in offering an extensive range of Electrolyte Marking Machine. This machine is used for making lag lasting marks on all types of surface profiles by the action of electrolyte. The offered machine is manufactured from high quality components using latest technology under the supervision of our experienced professionals. Clients can avail this machine from us in different specifications at industry leading price.